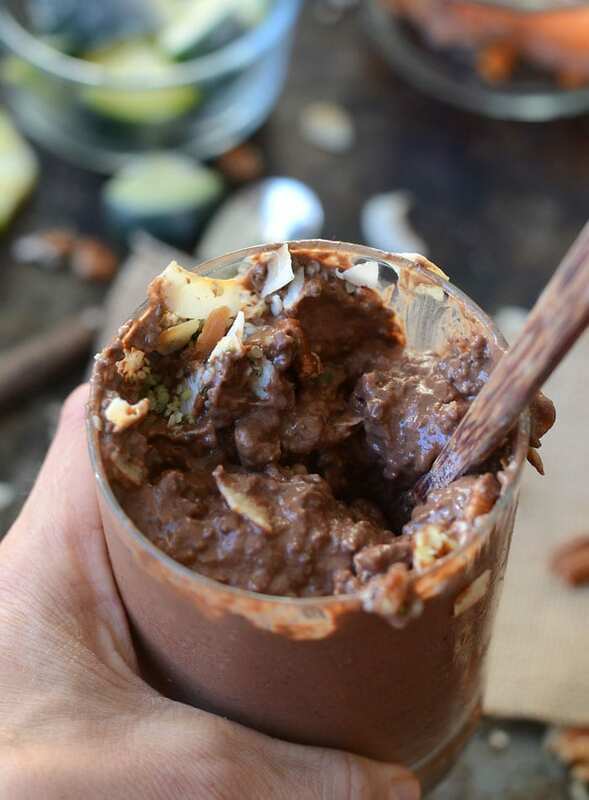 This low-sugar chocolate avocado smoothie bowl is ultra thick and creamy, loaded with nutrition and tastes like chocolate cake batter, despite containing no added sugar! 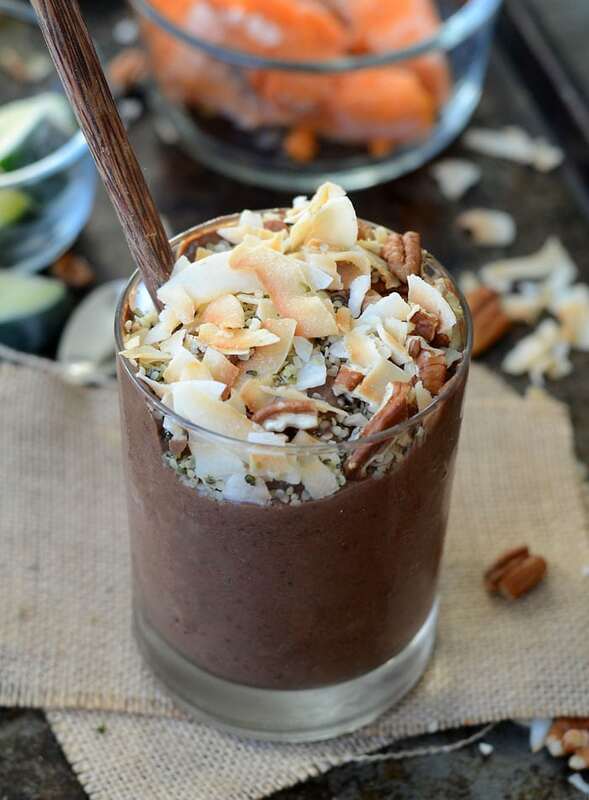 By enjoying this smoothie you’ll be treating yourself to antioxidants, vitamins, minerals, omega-3 fatty acids, protein and most importantly, decadent chocolate flavour! Somewhere between ice cream, a smoothie, chocolate pudding and brownie batter, you will love this nutrient-rich, chocolate smoothie bowl! I can’t believe it took me so long to make the choice to reduce the amount of sugar in my diet. I feel so, so, so much better. Like a fog has been lifted. I think I always new in the back of my mind that sugars were the culprit but I suppose I was in denial because I love higher-sugar fruits like bananas, dates and mango so much! I’m not talking about refined or processed sugars because I never ate those to begin with, when I talk about sugar, for me it’s the sugar in fruits and grains. It’s come down to being more mindful and conscious of my food choices and really, truly thinking about how food makes me feel. I’m focusing on letting my health and wellbeing guide me, instead of my sight and taste. It’s simply taking a step back before I eat something and acknowledging how it will make me feel. There are a few reasons why I made the decision to consciously eat less sugar. I was experiencing intense cravings which have all but disappeared, which is so freaking exciting! I was so tired of having food cravings rule my evenings. It always felt like such a mental fight. The other reason was preventing the energy crashes I often experienced after higher sugar meals and snacks. I’ve found my energy levels to be much more stable throughout the day now, especially after eating. When I take a moment to remind myself of these reasons before eating, sticking to lower sugar meals is 100% worth it. 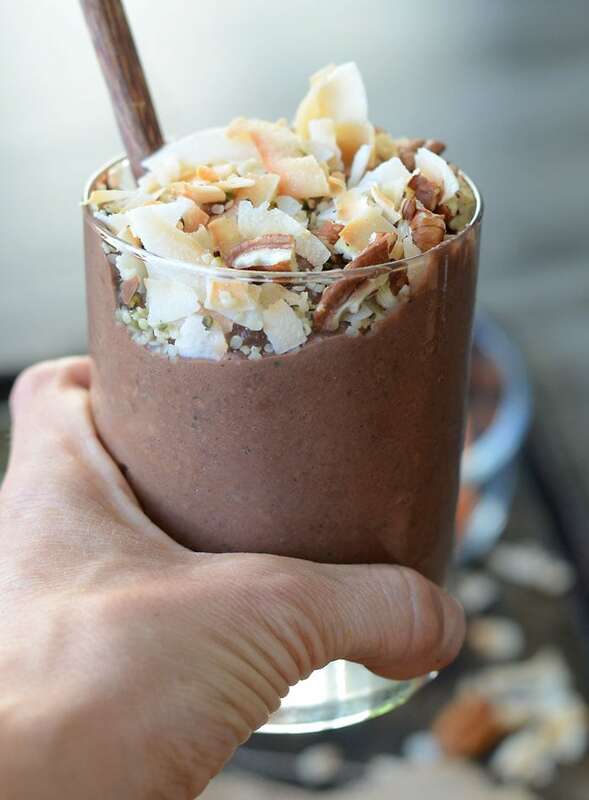 Plus, I still feel great a eating low-sugar chocolate avocado smoothie bowl so it’s all good! Instead of using banana and strawberries, this chocolate perfection is made with zucchini and avocado and it’s so, so good. I’ve also made a version of this smoothie with frozen banana, cauliflower, almond butter and avocado, which is insanely creamy and delicious. You can check that one out here. I’m eating more fats now and not only do I have much more stable energy, I’m finding it easier to meet my protein requirements and staying fuller longer than when I was eating higher carb and lower fat. It hasn’t been a huge change by any means, nor am I eating what would be considered a low carb diet. I still get about 35-40% of my calories from carbohydrates, a reduction from about 50%. It’s a bit less fruit, a bit less grains, more high-quality fats and more vegetables. I just feel better this way. I’m less grains and more of my favourite higher fat foods like chia seeds, hemp seeds, flax, avocado, cacao and coconut plus I’m eating more vegetables than ever. My diet is a continuing evolution. How I eat today will change, as it’s changed from 6 months ago, a year ago and 5 years ago. We change. We learn. We adjust. At this time my focus is on eating to thrive, continuing to educated myself and seeing just how good I can feel. About this smoothie. It’s ultra thick and creamy. It’s mega rich and decadent with loads of chocolate flavour. With superfoods like chia, avocado and cacao, It’s high in magnesium, omega-3‘s, antioxidants, vitamins, minerals and protein. It tastes amazing! You will love it and you’ll be hooked on making all sorts of vegetable-based smoothie creations! 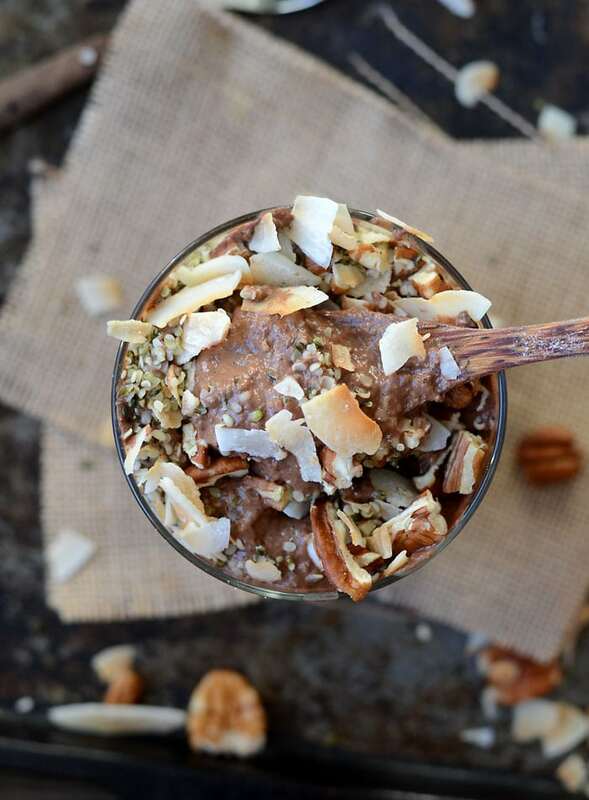 Make your smoothie bowl extra yummy by eating it out of a coconut bowl with a bamboo spoon. Pretty tastes better, of course! This extra thick and creamy chocolate smoothie bowl is fruit-free except for some low-sugar, heart-healthy avocado. It’s packed with nutrients like magnesium, protein, omega-3s and antioxidants and the taste and consistency is somewhere between chocolate pudding and cake batter. Add all ingredients to a high-speed blender and pulse until combined. To keep it extra thick, don’t over-mix or mix too long as the heat from the blender will melt it. Pulse until it’s all broken down and creamy but still a bit chunky. To make this into a drinkable smoothie, increase liquid to 1 cup and then adjust as needed to reach desired consistency. This. Looks. AMAZING! I love using zucchini in my smoothies, and I honestly prefer my smoothies with way more veggies than fruit. It’s amazing how overwhelming a super sweet smoothie can taste after going low sugar for awhile! I know, right? I’m loving eating lower sugar and the texture of zucchini is so amazing in smoothies! I always have urges at night and it’s really a big problem for me because I keep on eating a lot so I am looking for recipes that will make me less guilty about something delicious but still healthful. 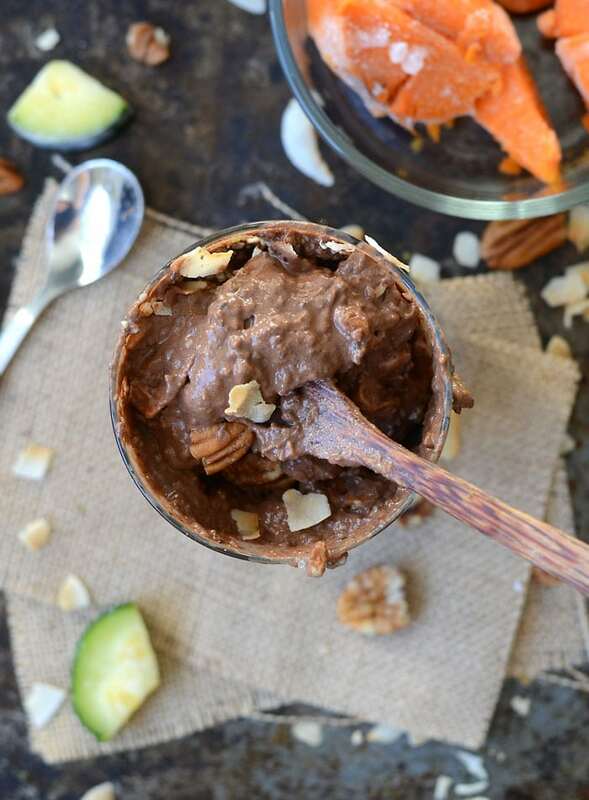 But oh my, this chocolate avocado smoothie bowl is making me salivating. I can’t wait to create this. Reading like it feels like ice cream, ah, this will be heaven. For sure, it’s all about small improvements and healthier options and this smoothie is a great choice. And it totally satisfies an ice cream craving! I hope you enjoy it! This looks fabulous! Since I am allergic to avocado, would you please let me know what I can substitute with? You can leave it out and add 1/4 cup more frozen sweet potato or zucchini, or replace it with 1/4 cup fresh or frozen coconut meat. 🙂 Enjoy! Some toasted coconut, hemp seeds and pecans! 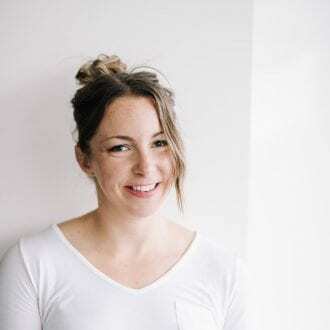 I just love anything chocolatey, but I am deliberately cutting down my sugar intake because of family history of diabetes – on both parents’ sides! Avocados are perfect for smoothies because of their texture. I never thought they can blend well with chocolate! Thank you for this recipe. I’m definitely going to try it! Oh ya, they’re so good with chocolate!! Def try them frozen too, it’s amazing. Enjoy! How do you recommend cooking and storing the sweet potato? Cubed? Peeled? Thanks!